 What is this project? 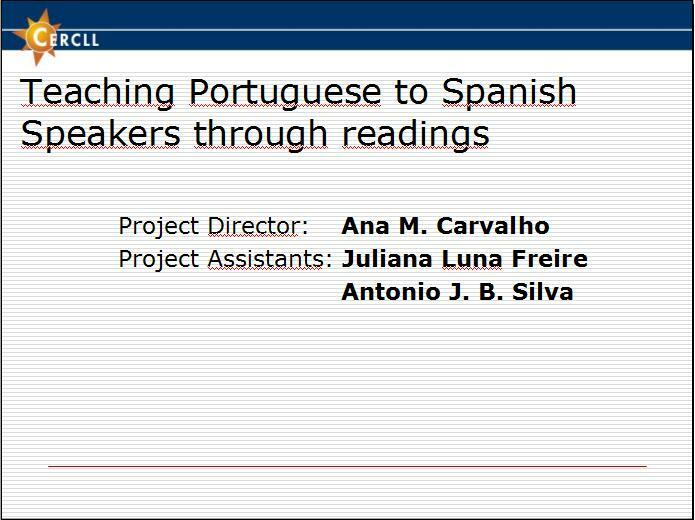 Building on the language skills of Spanish speakers (native speakers, heritage speakers, FL/SL learners of Spanish), this project focuses on teaching Portuguese through the early introduction of reading authentic texts. It provides a rich source of authentic materials for Portuguese teachers and learners through a website offering both classroom tasks and web-based language learning materials online. By using learning tools available on the web, the tasks are designed so as to enhance learners' exposure to authentic input in Portuguese and draw users' attention to forms that differ from Spanish. Authentic texts, arranged in thematic units, are compiled and available online. The texts and other online materials have been piloted in language classes and presented in workshops and national conferences. 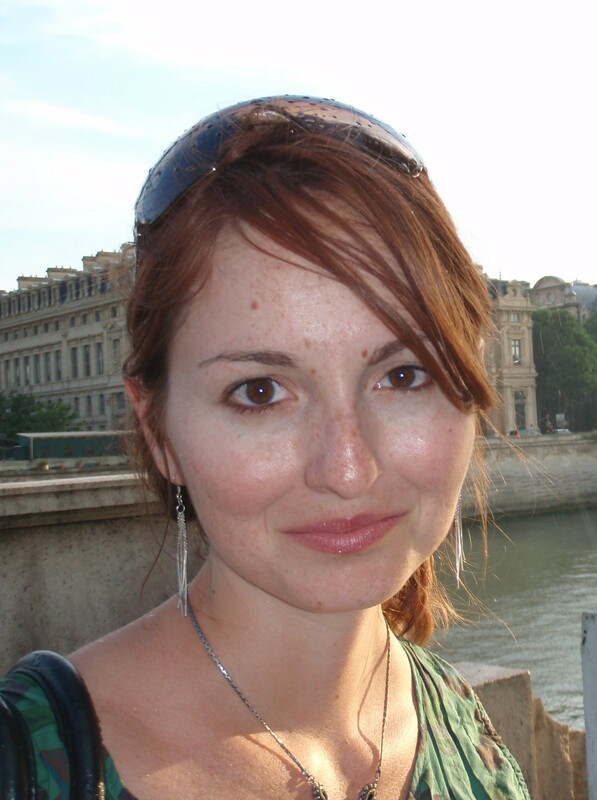 Project Director: Ana Carvalho, sponsored by CERCLL in collaboration with the Center for Latin American Studies and the Department of Spanish and Portuguese at The University of Arizona. 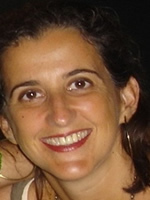 Ana M. Carvalho, the project director, holds a Ph.D. in Hispanic Linguistics from the University of California at Berkeley. She has published an influential article in the field of Portuguese for Spanish speakers (Hispania, 2002), and has co-authored, with Antonio J. B. Silva, two other articles on the acquisition of Portuguese by Spanish speakers as a third language (Foreign Language Annals, 2006, Portuguese Language Journal, 2008). She has been the director of the Portuguese Language Program at the University of Arizona since 2003, and has taught all levels of Portuguese language and linguistics, including courses in SLA pedagogy. She is an affiliated faculty in SLAT (a PhD program in Second Language Acquisition and Teaching). She has served as a peer reviewer for several publishers evaluating manuscripts of textbooks and has published extensively on the contact between Spanish and Portuguese. Antonio Jose B. da Silva earned his M.A degree in Second Language Studies from University of Hawaii in 2003, and is currently a Ph.D. candidate in Linguistic Anthropology at the University of Arizona. In the area of second language acquisition (SLA), he has published on the effects of instruction on learners' interlanguage pragmatics (2003) and language socialization (" Rituais lingüísticos como fórum para participação e contexto para transferência em um grupo de estudantes de português como língua estrangeira" In Português para falantes de Espanhol: Ensino e Aquisição, 2008), and has co-authored, with Carvalho, articles on cross-linguistic influence in the acquisition of Portuguese by Spanish-English bilinguals (Foreign Language Annals, 2006, Portuguese Language Journal, 2008). Juliana Luna Freire earned her Ph.D. in Luso-Brazilian and Hispanic American Literature and Cultures at the University of Arizona. She is Assistant Professor of Spanish and Portuguese at Framingham State University, in Massachusetts. She is a certified language instructor by the University of Cambridge (CEELT) and Teacher of English to Speakers of Other Languages (TESOL). She has been working with curriculum development since 1999, and worked as an instructional technology expert at the University of Arizona, where she developed several Computer Assisted Language Learning projects with faculty.